Dr. Davis was trained at the University of the Pacific Dental School and has practiced Dentistry for over 25 years. He has enjoyed working with families over the years and has extensive experience treating children, adults and seniors in all aspects of dental treatment. 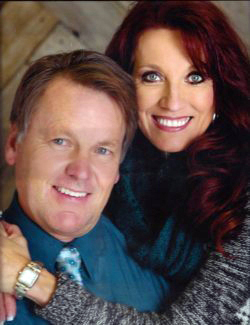 Dr. Davis, and his wife Michelle of 32 years have 5 children that take up all of their spare time. He is very happy to be in Williston serving the people of North Dakota in their dental needs they have. Dr. Steven Blackhurst attended and graduated from Creighton University in Omaha, Nebraska. He has been practicing dentistry for 20 years. He enjoys working on families and restoring smiles, and building relationship in the community. He and his wife Rebecca have been married 25 years and have 4 children. Dr. Robert Blackhurst attended and graduated from Creighton University in Omaha, Nebraska. He has been practicing for 17 years, He and his wife Jenny have 5 kids, ages 19 to 7.